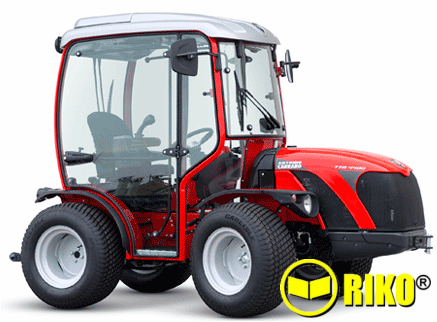 The concept of TTR 4400 HST II replicates that of the top-of-therange AC tractors, though on a smaller scale. The strategic decision to fit direct injection engines by the finest international producers generates lower noise, less vibrations, reduced consumption and maximum efficiency. 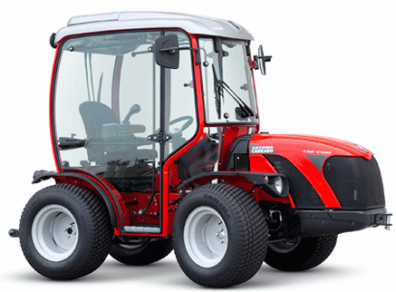 The configuration of the TTR 4400 HST II, featuring hydrostatic transmission, ACTIO™ chassis, low centre of gravity, reversible steering and isodiametric driving wheels, allows the vehicle to perform many different operations on all types of terrain, including plains, hillsides and rough ground. With TTR 4400 HST II, the machine-tool combination can have various operative layouts in order to achieve a high standard of specialisation, performing many farming or urban maintenance activities, such as ground care, cleaning pedestrian areas, mowing motorway verges, care of sports fields, snow clearance, handling and digging in nurseries and on worksites. 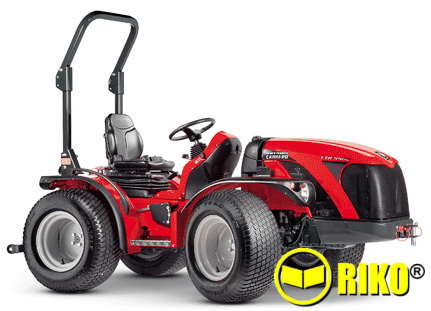 The TTR 4400 HST II enjoys the up to 4 years extended warranty package (EXG).